For all the criticism aimed its way, in some respects the Turkish media never lets you down. You can be assured the agenda on newspapers and TV channels will be dominated by President Recep Tayyip Erdoğan; newspapers will parade the week’s enemies in the latest stories alleging scurrilous attacks on Turkey; and eventually Treasury and Finance Minister Berat Albayrak will make an appearance, mystifying visual aids in hand, to employ his trademark en-UN-ci-A-tion in a speech reassuring his audience Turkey’s economy is running swimmingly. 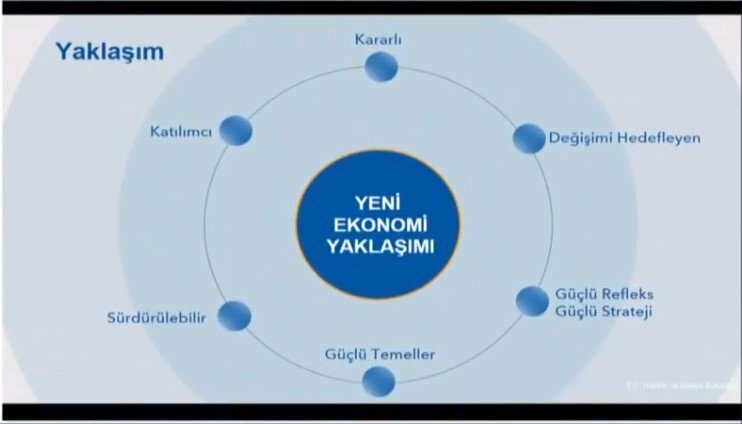 This week we saw a combination of the last two after Albayrak flew to Washington D.C. to explain to investors how his new economic reform package would reinvigorate Turkey’s shrinking economy. The investors, the Financial Times, Reuters and Bloomberg reported, were not impressed. Yet at least some of those quoted on Friday had been willing to give Albayrak the benefit of the doubt. “I wanted my mind changed,” one said, while another praised the minister’s attitude and put his weak performance down to “constraints”. This was not good enough for Sabah, the Turkish daily owned by the Çalık Holding conglomerate, which Albayrak ran as CEO before moving to politics. The newspaper accused the three western outlets of running a “smear campaign” aimed at damaging Turkey’s economy by reporting criticism of the minister’s speech, which it said investors had in fact greeted warmly. The Financial Times quoted one of the small number of investors who held a private meeting with Albayrak as calling his display “one of the worst performances from a finance minister I have seen”. The week saw the re-emergence of another seemingly endless thread in Turkey’s media narrative as AKP founding member and former president Abdullah Gül spoke to news site OdaTV of his “sadness” at the government’s refusal to accept defeats in the March 31 local elections. Every now and again Gül shows up to express mild disapproval at some turn of events, and every time he does it reinvigorates the long-running rumour that old members sidelined from the ruling Justice and Development Party (AKP) are planning to launch their own. At least this time the rumours have a little more weight behind them, given the reports of rifts forming among AKP supporters, many of whom are said to be disillusioned at the vitriolic rhetoric deployed since March 31. If there have been signs of these fractures on social media, they were not reflected last week in the pro-government press, which gave blanket coverage to the AKP’s claims the opposition had somehow fixed the results of the elections in Istanbul. Journalists at Sabah were among the first to push that narrative after the elections, and rumours quickly circulated blaming a secretive clique linked to the newspaper known as the “Pelicanists” for leading the calls for a re-run in Istanbul. But as left-wing BirGün TV pointed out, there was clear motivation all round for the onslaught on the election’s legitimacy: the newspapers that have pressed the attack most firmly are all owned by government-linked companies that make enormous profits from the Istanbul municipality. Speaking of fractures, the election seems to have caused some at Aydınlık, the long-running daily newspaper associated with the left-wing nationalist Patriotic Party. The party’s leader, Doğu Perinçek, was once among the most vocal opponents of Erdoğan, who supported several show trials against him and hundreds of other secularist figures that culminated around 2013. Perinçek became far less vociferous in his opposition after the AKP jettisoned old allies, released the secularist prisoners, and took its nationalist turn in the following years. But his adoption of the ruling party’s “survival” rhetoric and visit to the AKP’s Istanbul candidate Binali Yıldırım in the run-up to this year’s elections was seen as a step too far by Sabahattin Önkibar and Rıza Zelyut, two Aydınlık journalists who upped sticks as a result. To its credit, Aydınlık published farewell articles from both writers explaining the reasons for their departure, and Önkibar pulled no punches in his assessment of Perinçek’s “veiled support for Erdoğan”. Aydınlık has printed its fair share of conspiracy theories over Önkibar’s ten-year stint at the newspaper, but apparently Perinçek’s accusation that Ekrem İmamoğlu, the opposition’s mayoral candidate for Istanbul, ran as part of an “American project” was a leap too far for the writer.